OH ITS THE MOST WONDERFUL TIME OF THE YEAR! 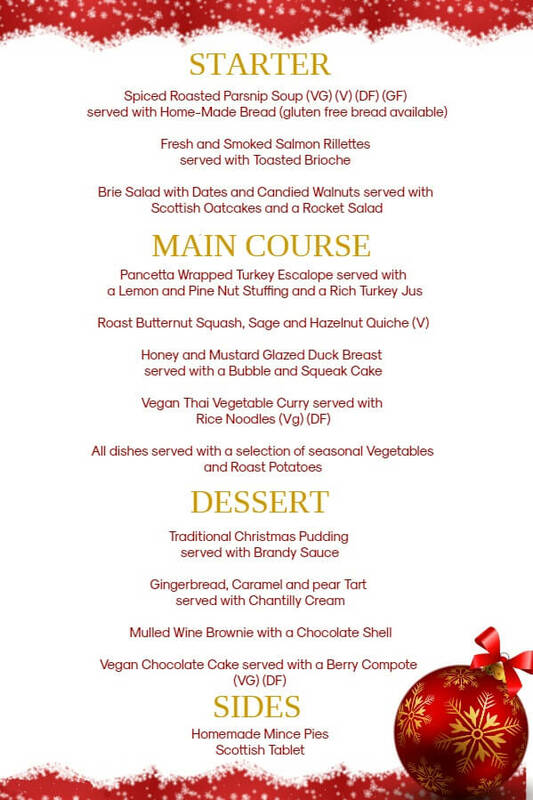 OUR DELICIOUS THREE COURSE MENU MADE BY OUR CHEF HERE AT THE LARDER DEREICK RUSHTON IS SURE TO GET YOU INTO THE FESTIVE SPIRIT. Whether you’re looking for a festive office outing, a get together with friends or a lovely Christmas Lunch with the family! Our fabulous Cook School is the perfect venue for a social and delicious Christmas Lunch.